Beautiful and classy looking pillow gorgeous tooled fabric. Gorgeous three in French encompass with 18x18 in pillow. 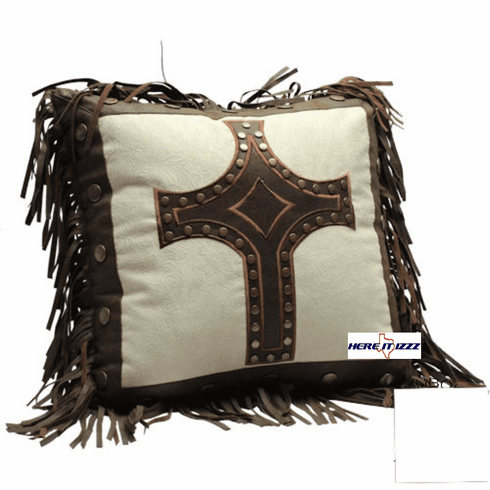 Design for Western look this cream colored pillow is sure to liven up your rustic decor. Huge studded cross create a focus that draws the eyes attention.